HBD-40 - HBD-15 to HBD-40 - Hydraulic Dampers - Motion Control - Products - ACE Controls Inc. 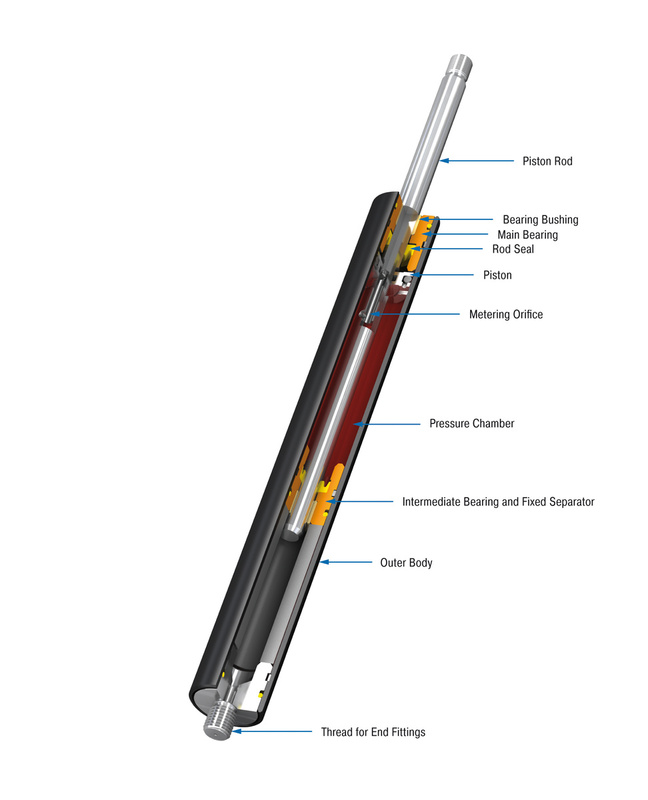 ACE Controls HBD hydraulic dampers are maintenance-free, self-contained and sealed units. They are available with body diameters from 0.59" to 1.57" (15 mm to 40 mm) and with stroke lengths of up to 31.5" (800 mm). 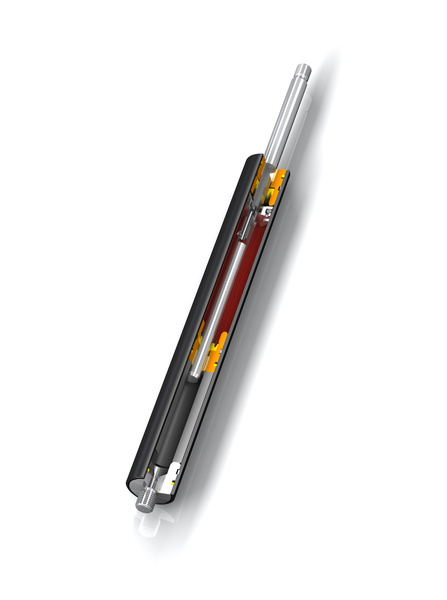 Unlike standard hydraulic dampers that include free travel up to 20 % of stroke, these dependable units have no free travel and are ideal for applications that require this level of performance. Double-acting hydraulic dampers are standard. However, a single acting design is available. Adjustment is easily achieved by pulling and turning the rod until the desired damping speed is achieved. The travel speed is adjustable and remains constant throughout the stroke. The single acting version is controllable in one direction only, with free-flow in the opposite direction. A built-in antilock guard allows adjustment to be made at any damping rate without unit lock up. These reliable units offer long life-cycle performance. A variety of end fittings are available for ease of operation and installation, and are included. Free travel These units have no free travel and are ideal for applications that require this level of performance. Adjustment Pull the piston rod out to its fully extended position. While pulling on the rod, turn it clockwise or counter-clockwise until the desired damping is achieved. The adjustment is multi-turn and correct damping may require several trial and error adjustments. A built-in antilock guard allows adjustments to be made at any damping rate without unit lock up. Mechanical Stop required 0.04 in to 0.06 in before end of stroke. Special oils, damping characteristics, and stroke lengths. Alternative accessories available on request.